Every year you work diligently to ensure your plants and flowers are looking their best. With such commitment to your gardening do you ever find a moment when you have over or underwatered a plant? 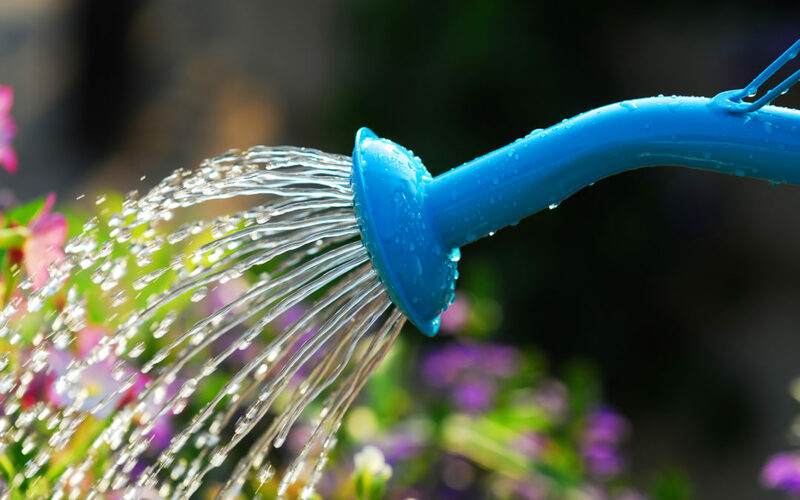 Many of us are guilty of improperly watering due to varying water needs of different plants. One method of safeguarding against killing your plants this coming season is to consider incorporating a few self-watering planters for your water-demanding plant life. Because there is a large variety of self-watering containers on the market these days, some even professing “to change your life,” understanding how self-watering planters work and their advantages may help you when purchasing these for your garden. Wondering how the planters work? They operate via a reservoir system, a water storage tank at the base of the pot, which you fill. No worries about over-watering as there is an overflow hole to drain away excess water. The soil soaks up the water from the below and delivers a consistent level of moisture directly to the plant’s roots. This consistency will reduce the number of times you need to water the plants and also lessen the chance your plants will suffer from your poor watering habits. And, since you are avoiding the plant’s leaves and watering from the bottom up, a self-watering planter can decrease the possibility of fungus or disease. In addition, these containers provide a higher level of water efficiency versus spraying your plants, as the water will evaporate slower due to it not being directly exposed to sunlight. These clever containers are available at most online retailers. They come in a multitude of sizes, shapes, and colors, with a wide range of prices. If self-watering planters are a bit outside your gardening budget or you are the DIY type and are looking for a winter project, several websites offer plans, directions, and videos on how to make them yourself.